Retro Gamerooms' warehouse and workshop is located in Pineville, North Carolina, and is open to the public by appointment only, through the week. 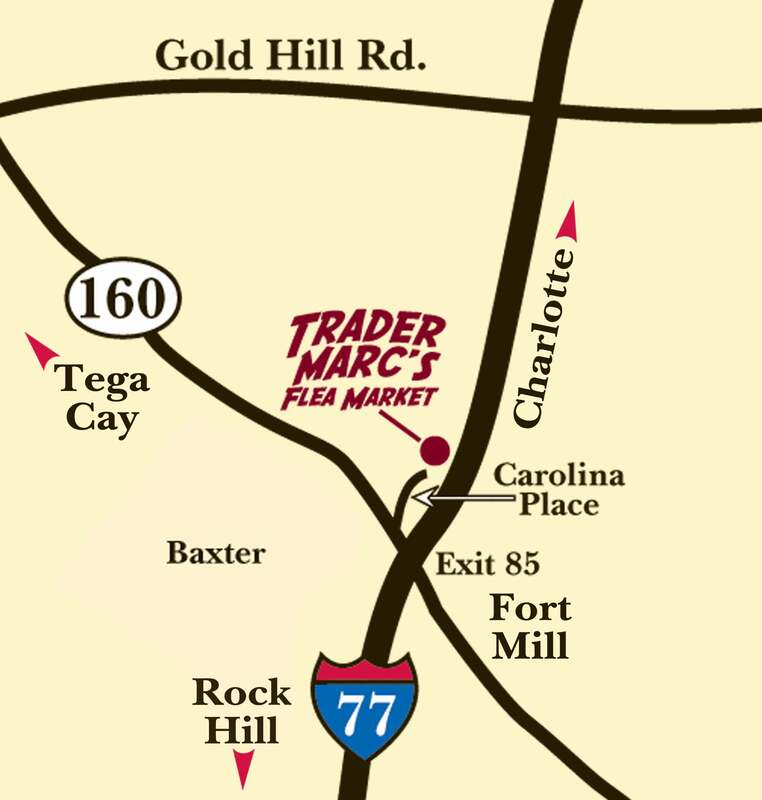 We are also located at the NEW Trader Marc’s Flea and Farmer’s Market, in Fort Mill, SC. Directly on I-77 at Exit 85. Across from Baxter and two blocks behind Lowe's. Only 15 minutes south of Charlotte. We are open every Saturday and Sunday at the Flea Market. For sales, service, or general questions, please contact us at 704-904-1512, or via email at: gamerooms@carolina.rr.com.